Draft: 2005, Washington Nationals, 1st rd. Ryan Wallace Zimmerman...Following the 2006 season, established the ziMS Foundation, dedicated to the treatment and ultimate cure of Multiple Sclerosis by funding comprehensive support and educational programs...The ziMS Foundation hosts local events in his hometown of Virginia Beach, VA, and in Washington, D.C. to raise funds for the Foundation...Is on the board of the National MS Society and the Washington, D.C. chapter...In 1995, mother, Cheryl, was diagnosed with MS, a chronic and unpredictable disease that affects the central nervous system...In 2016, he donated $1 million to the University of Virginia's baseball program...A standout at UVA, he hit .393 with six home runs and 59 RBI as a senior in 2005 and helped Virginia earn a second consecutive NCAA berth... Capped his collegiate career as a .355 career hitter with 47 doubles and 140 RBI in three seasons at UVA... Helped the Cavaliers end the program's eight-year postseason void with a pair of NCAA berths (2004, 2005)...Was first UVA player to be selected in first round since 1996 (Seth Greisinger)...With Team USA, was named MVP at the FIFI II World University Games, played during the summer of 2004 in Taiwan...Led or tied for the Team USA club lead in all three triple crown categories, hitting .468 with four homers and 27 RBI...For his efforts, was named USA Baseball's Athlete of the Year in 2004...He and his wife, Heather, have two daughters, Mackenzie and Hayden. His 14th Major League season was broken up by a stint on the 60-day disabled list from May 12 through July 20 (strained right oblique) ... Following his return, hit .295 with 18 doubles, eight homers, 35 RBI, 21 walks and 22 runs scored in 52 games from July 20 through the end of the season...He ranked 14th in the National League in OPS (.911) following the All-Star break...Ranked 16th in the NL in slugging percentage (.538) following the break...Passed Tim Wallach for the most hits (1.695) in Nationals/Expos hitory on July 31 vs. New York (NL)...Matched a career-high with six RBI on Aug. 11 at Chicago (3-for-5, 2 HR, 6 RBI, 3 R)...Clubbed his 11th career walk-off home run on Aug. 22 vs. Philadelphia (Dominguez)...See "Walk It Off" info box for more information on Zimmerman's walk-offs. Put up career numbers in his 13th season, en route to being named a National League All-Star starter and the National League Comeback Player of the Year by his fellow players (MLBPA)...Clubbed a career-high 36 home runs...Approached his career high in RBI (110 in 2006)...Appeared in 144 games, his most since 2013 (145)...Was tied for second in MLB with seven multi-HR games...Ranked in the National League in RBI (6th, 108), homers (T6th, 36), and slugging percentage (7th, .573)...Ranked just outside of the top 10 in batting average (13th, .303)...His 2017 season was just the seventh 30-double, 30-homer season in Nationals history, and he is the only two-time 30-homer/30-double player in club history...It was just the fourth 30-HR/30-double/100-RBI season in Nationals history...Became the franchise (Montreal/Washington) leader in several offensive categories throughout the course of the season (See info box below)...Started off the season strong, garnering Player of the Week (April 30) and Player of the Month honors for the month of April...Hit .420 with eight doubles, 11 homers, 29 RBI and 22 runs scored in 24 April contests...His 29 RBI set a Nationals record for home runs in a month...Hit his second career pinch hit home run, a game-tying three-run shot on April 9 at PHI (Gomez)...Clubbed his sixth career grand slam on April 19 at ATL (Krol)...On July 27 against Milwaukee, he combined with Brian Goodwin, Wilmer Difo, and Bryce Harper to hit back-to-back-to-back-to-back home runs - tying a Major League record for consecutive home runs (joining seven other clubs) and marking the first time in franchise history a Nationals or Expos team had accomplished that feat...Capped the season strong, hitting .329 (27-for-82) with six doubles, seven homers, 20 RBI and 13 runs scored in 22 Sept. games...Clubbed a career-high 13 go-ahead home runs, including seven in the sixth inning and beyond...Hit .311 (47-for-151) with runners in scoring position...Hit a dramatic, towering, go-ahead three-run home run in the eighth inning of Game 2 of the NLDS...Came as a part of Washington's five-run eighth inning...Was his third career Postseason home run. Endured two stints on the 15-day disabled list (left ribcage strain, July 7-26, 12 games; and left wrist contusion, Aug. 1-20, 16 games)...Legged out his first career inside-the-park-home run, May 15 vs. MIA (Fernandez)...It was the third ITPHR in Nationals history...Posted a .996 fielding percentage (4 errors) in his second full season at first base...Recorded a .542 slugging percentage (7 2B, 3B, 7 HR) in the month of May...Turned the first triple play in WSH history, July 30 at SFG (see page 337 for a detailed account of the play)...115 games played were his most since 2013 when he played in 147...Recorded his 15th career multi-home run game, May 10 vs. DET and his 16th on, May 28 vs. STL...Hit .353/.450/.471 while starting in all five games of the 2016 NLDS vs. LAD...Went 2-for-4 with a double, two RBI, one walk and one run scored in Washington's 8-3 win in Game 3 at LAD. Season was twice interrupted by injury due to plantar fasciitis in his left foot (June 11-July 28) and a left oblique strain (September 7-end of the season)...Clubbed his 10th career walk-off home run, a two-run blast off the right field foul pole in the 10th inning, May 19 vs. NYY (Miller)...It was the first of his 10 walk-off home runs to come in extra innings...Zimmerman's 10 walk-off home runs rank third in National League history behind Stan Musial (12) and Tony Perez (11), according to the Elias Sports Bureau...In addition, his 10 walk-offs are third among active players behind David Ortiz (11) and Albert Pujols (11)...Hit .209/.265/.346 before DL stint, but .311/.372/.652 with 13 doubles, 11 home runs, 39 RBI and 21 runs scored in 39 games after return...Hit safely in his final 11 games played of 2015, going 20-for-46 (.435) with four doubles, six home runs, 18 RBI and 11 runs scored...Clubbed his 200th career home run (Sept. 2 at STL) during 11-game span Aug. 23-Sept. 2 in which he collected 23 RBI, the most over an 11 game span in franchise history (Nationals/Expos). Was limited to just 61 games due to two stints on the disabled list...Fractured his right thumb sliding head first into second base, April 13 at ATL...Returned June 3...Upon return, selflessly shifted to left field to allow Matt Williams flexibility when filling out the lineup card...Strained right hamstring on July 22 on a sprint to first base attempting to beat out a ground ball...Rejoined the Nationals active roster on Sept. 20...Upon return, started four games, all in left field...Hit .263 (5-for-19) with a triple, two RBI and a walk upon return...Despite injuries, .790 OPS in 61 games ranked fourth among Nationals...Played defensively in left field (30 games), at third base (23) and first base (1)...Did not commit an error in left field while connecting on two outfield assists. Hit 11 homers in Sept. to match Hunter Pence for MLB lead, establish a Nationals record for the ninth month and cap off another strong campaign...tied for 7th in NL with team-leading 26 home runs after being tied 38th with 15 HR at completion of play on Sept. 1...15 homers after the All-Star break tied for 3rd in MLB...paced the Nationals outright in home runs for the 2nd time in career (also 2007, tied for team lead in 2008)...batted .310 at Nationals Park, but 19 of 26 long balls were hit on the road...hit 9th career game-ending homer, July 26 vs. NYM (W2-1)...hit more home runs against NL East competition (career-high 16) than any player in baseball in '13...blasted 3 home runs to match Nationals single-game record on May 29 at Oriole Park (Alfonso Soriano 4/21/06 vs. ATL, Adam Dunn 7/7/10 vs. SDP)...hit .345 in close and late situations...swiped 6 bases without being caught...committed 21 errors, but only 7 occurred after the All-Star break (as strength in shoulder increased)...became the first National to play in 1000 career games on April 12 vs. ATL...trailing 4-1, laced 3-run double with 2 outs in the 8th inning to tie the game and set stage for Washington's eventual 6-4 victory at NYM, June 28...hit 4th career grand slam off Robbie Erlin to spark an 11-7 series-sweep clinching win on July 7 vs. SDP. Managed sore right shoulder for most of season, but hit 25 home runs and tallied 95 RBI in 145 games to help the Nationals claim first NL East title...hit 20 of 25 homers against righthanders, but OPS was higher against southpaws (.861 vs. LHP, .810 vs. RHP)...started slow, but beginning June 24, hit .321 with 26 doubles, 22 homers, 73 RBI and a .967 OPS in 90 games...in that span (June 24 through season's end), the .967 OPS ranked 5th in MLB among those with at least 300 plate appearances...recorded career-best .908 OPS at Nationals Park...recorded 1,000th career hit-a 5th inning single off Guillermo Moscoso-on June 26 at Coors Field...with an 8th-inning sacrifice fly on April 10 at Citi Field, reached the 500-RBI plateau...hit 10 home runs in July...from Sept. 3-12, recorded at least one RBI in 9 straight games...the 9-game RBI streak was the longest ever posted by a DC-based player since outfielder John Stone turned the same 9-game trick in 1936 for the AL Nationals. Limited to 101 games by a left abdominal strain, hit .289 with 21 doubles, 12 home runs and 49 RBI ... the abdominal strain required surgery, which was performed by Dr. Bill Meyers in Philadelphia on May 3 ... missed 6 weeks of big league action or 58 games ... began rehab stint on June 5 and hit .381 (8-for-21) with 3 doubles, one triple and 3 RBI in 6 games ... returned to Washington's lineup on June 14 vs. STL ... when starting at third base, the Nationals went 50-47 ... batted team-best .314 at Nationals Park ... hit .300-plus against each of the Nationals' four NL East rivals (FLA .375, PHI .323, ATL .316, NYM .306) ... on June 14 vs. STL, in first game back after missing 58 games with a left abdominal injury, laced opposite-field RBI double in midst of decisive 6-run seventh inning, which capped a come-from-behind 8-6 victory ... hit eighth career game-ending homer, his second such grand slam (also May 13, 2007 vs. FLA), to cap a six-run ninth and a wild 8-4 win vs. PHI on August 19 ... posted team season-high 19-game hit streak from July 22-Aug. 11, going 32-for-79 (.405) with 6 doubles, a triple, a homer, eight RBI and five walks ... recorded 14th career game-ending plate appearance in a win via Washington's 8-7 victory on Sept. 3 vs. NYM ... blooped a bags-loaded two-run broken-bat single in front of diving right fielder to erase a 7-6 deficit. Earned 2nd consecutive Silver Slugger citation from Louisville Slugger...hit .300-plus for the first time...posted careerhighs in batting (.307), on-base percentage (.388) and OPS (.899) in 2010...became the first qualified WashingtonNational (2005-present) to hit .300 or better against both left- (.331) and right-handed (.300) pitching in the sameseason...hit .300 or better in 4 of season's 6 months (April, July, August, Sept./Oct)...ranked among NL leaders inbatting average against LHP (7th, .331), game-winning RBI (tied 7th, 14), OBP (8th), OPS (8th, .899), batting average(8th), runs created/27 (9th, 6.75), batting average with runners on base (9th, .335), slugging percentage (10th,.511), batting average at home (10th, .317) and go-ahead RBI (tied 10th, 26)...hit 5 home runs in 7 games againstARI...bloop double with 2 outs in the 7th inning snapped a 5-5 tie and Washington held off PHI, 6-5, to claim first winof the season, April 8 in DC...first career pinch homer-which came after missing the previous 3 games due to a tighthamstring-was game-winning blast in a 7-5 win, April 15 at PHI...hit 2 home runs en route to career-high 6 RBI-effortin an 8-inning 14-6 win on May 13 at COL...registered 7th career 2-home run effort in an 11-inning, 3-2 setback, May30 at SDP...first of those 2 home runs (off John Garland) was 100th of career...became 2nd player drafted in 2005 orlater to reach the 100-home run plateau (MIL's Ryan Braun was first)...led off the 9th inning with a game-ending soloshot, 2nd long ball of the game, to power the Nationals to a 6-5 win over the first-place Padres, July 6 at NationalsPark...on July 31 vs. PHI, 3-run homer with one out in the 9th inning off Brad Lidge was 7th career game-ending homerun and yielded a 7-5 Washington win...game-winning 3-run home run in 3rd inning, August 30 at FLA, triggered a 9-3win and broke a left-field electronic scoreboard, that was left reading "Sun Life Stadiu" (the "m" broken missing)...didnot play after Sept. 22 due to a right intercostal strain...missed Washington's final 10 games. In breakout effort, hit .292 with 37 doubles, 33 homers, 106 RBI in 157 games...earned long-overdue Rawlings GoldGlove and claimed first Silver Slugger citation...LAD's Matt Kemp as the only 2 NL player to earn a Gold Glove andSilver Slugger in '09...ranked among NL leaders in total chances (MLB-best 459), assists (MLB-best 325) and UltimateZone Rating (17.9)...also lead all MLB players with 19 Web Gems and 61 Web Gem points and was subsequentlynamed ESPN's 2009 Web Gem Champion in mid October...recorded career highs in most offensive categories, includingruns (110), hits (178), home runs, extra-base hits (73), walks (72), total bases (320), OBP (.364), slugging (.525), OPS(.888) and pitches per plate appearance (4.05)...ranked among NL leaders in runs (4th), sac flies (tied for 4th, 9), totalbases (5th, 320), RBI (6th), extra-base hits (tied for 8th), homers (10th) and hits (10th)...posted career-best and MLBseason-high 30-game hitting streak from April 8-May 12, going 50-for-131 (.382) with 11 doubles, 8 homers, 26 RBI, 11walks and 26 runs...the 30-gamer was the longest posted in MLB since NYM's Moises Alou's 30-game run in '07, andthe longest by a 3B since George Brett's 30-game hit streak, July 18-Aug. 18, 1980...was the 26th player to record ahit streak of at least 30 games since Joe DiMaggio's 56-gamer in '41...reached base safely in career-high 43 straightgames, April 4-May 25, to match SEA's Ichiro Suzuki for longest streak in MLB...became the first 3B to represent DCin an All-Star Game since Harmon Killebrew ('59)...became first National to homer in 4 straight individual games, Aug.3-7...from July 27-Aug. 13, hit safely in 16 straight...coupling the 16- and 30-gamers, became the first big leaguer sinceARI's Luis Gonzalez in '99 to record hit streaks of 30- and 15-plus games in the same year. Game-By-Game Highlights: Tallied 500th career hit, an 8th-inning RBI single off Buddy Carlyle on April 12 at ATL...atthe age of 24 year and 196 days, became the 2nd-youngest franchise player to reach 500 hits (Delino DeShields, 24years, 164 days on June 28, 1993 vs. PIT)...hit 5th-career game-ending homer, the 3rd at the expense of the Marlins,off Leo Nunez in a 5-4 victory, September 6 vs. FLA.
After playing all but 5 games the previous 2 seasons, battled first significant injury of career while hitting .283 with 24doubles, 14 home runs and 51 RBI in 106 games in 3rd complete big league campaign...missed 48 games from May26-July 22 with a small labral tear in the left (non-throwing) shoulder...sustained the injury while sliding head-first intosecond base, May 18 at BAL...in 56 games after returning from the injury, batted .306 with 13 doubles, 6 homers and24 RBI...endured slow April (.233), but hit .301 with 18 doubles, 11 home runs and 38 RBI in 78 contests thereafter...ininaugural contest at Nationals Park, March 30, hit game-ending solo shot with 2 outs in the 9th inning to become justthe 3rd player in MLB history to hit a game-ending home run in the first game at a MLB ballpark (Billy Burton, April 14,1953 vs. STL at MIL's County Stadium; Dante Bichette, April 26, 1995 vs. NYM at Coors Field)...voluntary day off onMay 4 vs. PIT ended string of 205 consecutive starts (had started every game since Sept. 18, 2006). Game-By-Game Highlights: In season's 3rd game, solo homer off Cole Hamels accounted for only run in Nationals'1-0 win, April 2 at PHI...3-for-4, 3-RBI effort on April 29 vs. ATL included a homer and game-winning 2-run double. Turned in solid sophomore season, batting .266 with 43 doubles, 24 home runs and 91 RBI...18 game-winning RBIranked 2nd in MLB behind only COL's Matt Holliday (19)...became just the 5th player in franchise annals, the firstWashington National, to start 162 in a season...the other 4 were all Expos: Orlando Cabrera (twice: 2003, 2001),Warren Cromartie (1980), Ken Singleton (1973) and Rusty Staub (1971)...was one of just 3 players to start all 162games (ATL's Jeff Francoeur and PHI's Jimmy Rollins)...started 161 at 3B and one at DH (June 10 at MIN)...hit 3rd forManny Acta in all 162 contests...is the first player in franchise annals to hit at least 20 home runs in both rookie andsophomore campaigns...is just the 11th player in franchise annals to post back-to-back 20-homer seasons...ranked3rd in NL (4th in MLB) by hitting .374 against opposing left-handed pitchers...also ranked among NL leaders in games(tied for first, 162), at-bats (4th, 653) and GIDPs (tied for 3rd, 26)...led the Nationals in hits (174), runs (99), home runs(24), extra-base hits (72) and RBI (91)...paced all MLB third basemen with 43 doubles, which also tied Ryan Churchfor team lead...blasted first career grand slam off Kevin Gregg on April 22 at FLA...matched career high with 5 RBIand broke a 3-3 tie with a game-ending grand slam off Jorge Julio on May 12 vs. FLA...the game-ending slam-theNationals' lone game-ending long ball of 2007-came after nearly 3 hours of rain delays and actually occurred at 1:42a.m. on May 13...became just the 20th player all-time whose first 2 home runs of a season were grand slams (firstsince FLA's Juan Encarnacion in 2005)...posted a pair of double-digit hitting streaks: team season-high 13-gamer(Sept. 14-26) and a 10-gamer (July 4-17)...beginning July 17, 37 of final 77 hits (48%) went for extra bags (24 doubles,3 triples, 10 HR)...after hitting just .241 in season's first 79 contests, batted .291 in 83 games beginning June 30. Turned in the finest rookie season in the history of the franchise...hit .287 with 47 doubles, 3 triples, 20 home runs, 110RBI and 11 stolen bases in 157 games...finished 2nd in NL Rookie of the Year balloting, 4 points behind FLA's HanleyRamirez...was counted on for defense, but became middle-of-the-order mainstay for the Nationals...20 home runsmatched Brad Wilkerson's 2002 franchise rookie record...one of MLB's top clutch hitters in 2006...paced MLB with 64hits with runners in scoring position...in all, batted .323 (64-for-198) with RISP, including a .366 (49-for-134) mark fromJune 6 through the end of the season...110 RBI were the most posted by a rookie since STL's Albert Pujols notched aremarkable 130 in 2001...became only the 3rd NL rookie in 53 seasons (beginning with 1954) to post 100 or more RBI(Mike Piazza 112 in '93 and and Pujols 130 in '01)...also became just the 5th rookie since 1988 to record 100 RBI in aseason, joining Hideki Matsui (106, '03), Pujols (130, '01), Carlos Beltran (108, '99) and Mike Piazza (112, '93)...paced MLBrookies with a franchise-rookie record 25 go-ahead RBI, a team-leading 12 of which were game-winning RBI...alsoled MLB rookies in RBI, doubles, walks (61) and longest hitting streak (hit .406 [28-for-69] with 8 doubles, 2 homersand 13 RBI in 17 games, June 28-July 18)...ranked among top 3 NL rookies in multi-hit games (2nd with 50), runs (3rdwith 84), hits (2nd with 176), total bases (3rd with 289) and extra-base hits (2nd with 70)...29 multi-RBI games werethe most posted by an MLB rookie since Pujols tallied 34 in 2001...was the first rookie 3B to play in 157 games sinceDick Allen played in all 162 for PHI in 1964...47 doubles tied for 2nd on the all-time list among rookies...joins Pujols(2001), Fred Lynn (1975) and Vada Pinson (1959) behind only Johnny Frederick (52) of the 1929 Brooklyn Robins...posted 3 walk-off hits in a 19-day span June 18-July 6, including a 2-run homer June 18 vs. NYY, a 3-run homer July4 vs. FLA and an RBI single July 6 vs. FLA...also worked a bases-loaded walk in the 11th inning on the afternoon ofSeptember 2 vs. ARI to give the Nationals a true "walk-off" 7-6 win...strung together 3 hitting streaks of 10 or more games in 2006...not only is that the most among MLB rookies, the only rookie with as many as 2 double-digit hit streaks wasFLA's Hanley Ramirez...posted a .965 fielding percentage which tied STL's Scott Rolen and CHI's Aramis Ramirezfor the NL lead...homered on April 30 at STL to establish new franchise rookie record for home runs in March/Aprilwith 4...bested former mark (3) shared by Michael Barrett (1999), Mike Lansing (1993), Andres Galarraga (1986) andCoco Laboy (1969)...franchise rookie-record 17-game hitting streak, June 28-July 18, trumped Endy Chavez's now formerclub rookie record 16-game hitting streak (Sept. 10-27, 2002)...33 July hits were the most posted by a franchiserookie in a single month since Casey Candaele collected 35 safeties as an Expos rookie in May of 1987...saw 3.88pitches per plate appearance (2645 pitches/682 plate appearances)...led the Nationals in doubles and RBI...hit .327(102-312) and blasted 10 of 20 homers at cavernous RFK Stadium...paced the Nationals in RBI in June (18), July(19), August (20) and September/October (21)...batted .290 (78-for-269) with 21 doubles, 8 homers and 52 RBI in 69games against NL East foes...hit 3rd, 4th, 5th, 6th and 7th, but performed best when batting in the 6th slot (.304, 5 HR,16 RBI in 30 games)...finished strong, batting .320 (41-for-128) with 24 RBI in his last 31 games. Game-By-Game Highlights: Reached the 100-RBI plateau on Sept. 22 at NYM via a 3rd-inning RBI single offOrlando Hernandez...doubled, homered and posted career-high 5 RBI on August 18 at PHI. Began pro career with 4-game stint in the Single-A South Atlantic League...went 0-for-4 in professional debut, June 21 vs. Charleston, but rebounded with trio of multi-hit games, June 22-24...hit first pro homer on June 22 at Charleston...posted 3 hits, including a double, in Double-A debut on June 25 vs. Akron...after slow start, adjusted to bat .372 (58-for-156) in final 41 Double-A games...following season, was rated by Baseball America as the No. 5 prospect in the Eastern League, despite playing in just 63 games for Harrisburg. July 20, 2018 Washington Nationals activated 1B Ryan Zimmerman from the 60-day injured list. July 17, 2018 Washington Nationals sent 1B Ryan Zimmerman on a rehab assignment to Harrisburg Senators. July 16, 2018 Washington Nationals sent 1B Ryan Zimmerman on a rehab assignment to Potomac Nationals. June 30, 2018 Washington Nationals transferred 1B Ryan Zimmerman from the 10-day disabled list to the 60-day disabled list. Right oblique strain. May 12, 2018 Washington Nationals placed 1B Ryan Zimmerman on the 10-day disabled list retroactive to May 10, 2018. Right oblique strain. August 20, 2016 Washington Nationals activated 1B Ryan Zimmerman from the 15-day disabled list. August 15, 2016 Washington Nationals sent 1B Ryan Zimmerman on a rehab assignment to Syracuse Chiefs. August 6, 2016 Washington Nationals placed 1B Ryan Zimmerman on the 15-day disabled list retroactive to August 1, 2016. Left wrist contusion. July 26, 2016 Washington Nationals activated 1B Ryan Zimmerman from the 15-day disabled list. July 21, 2016 Washington Nationals sent 1B Ryan Zimmerman on a rehab assignment to Potomac Nationals. July 8, 2016 Washington Nationals placed 1B Ryan Zimmerman on the 15-day disabled list retroactive to July 7, 2016. Left rib cage strain. June 6, 2016 Washington Nationals activated 1B Ryan Zimmerman from the paternity list. June 3, 2016 Washington Nationals placed 1B Ryan Zimmerman on the paternity list. July 28, 2015 Washington Nationals activated 1B Ryan Zimmerman from the 15-day disabled list. 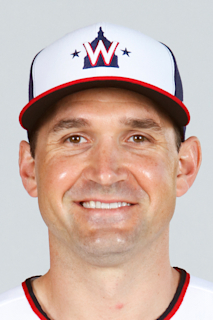 July 19, 2015 Washington Nationals sent 1B Ryan Zimmerman on a rehab assignment to Harrisburg Senators. September 20, 2014 Washington Nationals activated 1B Ryan Zimmerman from the 15-day disabled list. July 23, 2014 Washington Nationals placed 3B Ryan Zimmerman on the 15-day disabled list. Right hamstring strain. June 3, 2014 Washington Nationals activated 3B Ryan Zimmerman from the 15-day disabled list. May 30, 2014 Washington Nationals sent 3B Ryan Zimmerman on a rehab assignment to Potomac Nationals. April 13, 2014 Washington Nationals placed 3B Ryan Zimmerman on the 15-day disabled list. Fractured right thumb. May 3, 2013 Washington Nationals activated 3B Ryan Zimmerman from the 15-day disabled list. April 30, 2013 Washington Nationals sent 3B Ryan Zimmerman on a rehab assignment to Potomac Nationals. April 21, 2013 Washington Nationals placed 3B Ryan Zimmerman on the 15-day disabled list retroactive to April 18, 2013. Left hamstring strain. May 8, 2012 Washington Nationals activated 3B Ryan Zimmerman from the 15-day disabled list. April 28, 2012 Washington Nationals placed 3B Ryan Zimmerman on the 15-day disabled list retroactive to April 21, 2012. Sore right shoulder. June 14, 2011 Washington Nationals activated 3B Ryan Zimmerman from the 15-day disabled list. June 11, 2011 Potomac Nationals sent 3B Ryan Zimmerman on a rehab assignment to Syracuse Chiefs. June 6, 2011 Ryan Zimmerman assigned to Potomac Nationals from Hagerstown Suns. June 5, 2011 sent 3B Ryan Zimmerman on a rehab assignment to Hagerstown Suns.